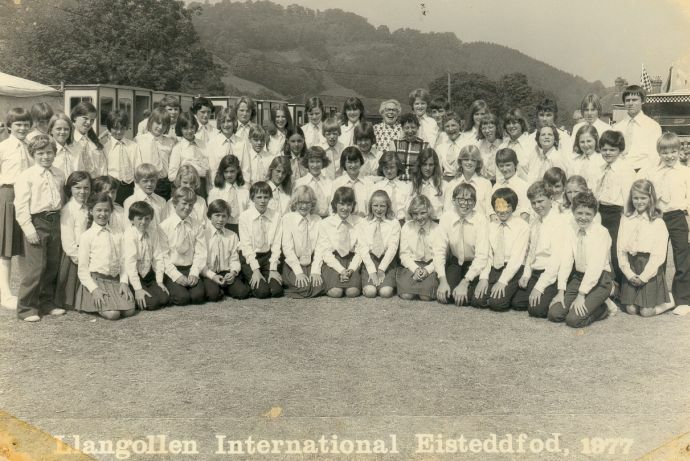 This picture was taken at the Llangollen International Musical Eisteddfod in July 1977. I have been involved with the choir for over thirty years and have performed with them at Llangollen on nine occasions as singer, pianist and conductor. 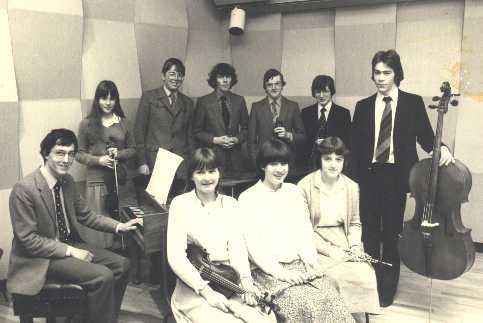 Listen to the Youth Choir performing at the 1984 Eisteddfod. Conductor Mark Hammond, Pianist Rosemary Barnes. Buxtehude - "Zion Hear's The Watchman's Voices" & Trant' s "Love Came Down At Christmas". 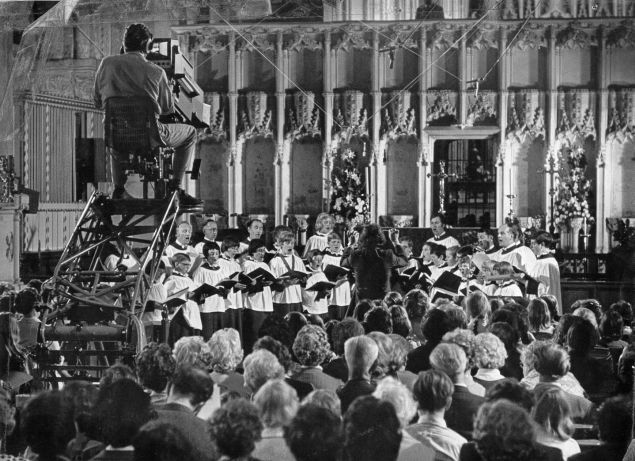 Listen to the Youth Choir performing my carol "I Sing of a Maiden", recorded in the mid-eighties. 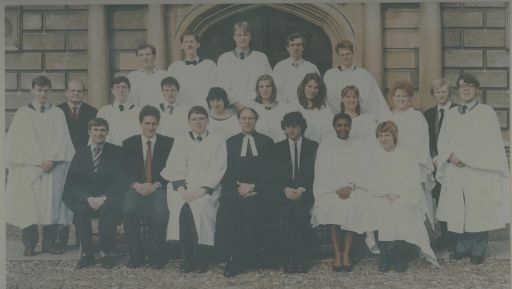 A few years ago, in the twentieth anniversary of my final year as Organ Scholar at Peterhouse, I attempted to contact as many choir members as I could. This is the latest information I have - some comes from the people themselves and some comes from internet research and was correct at the time. 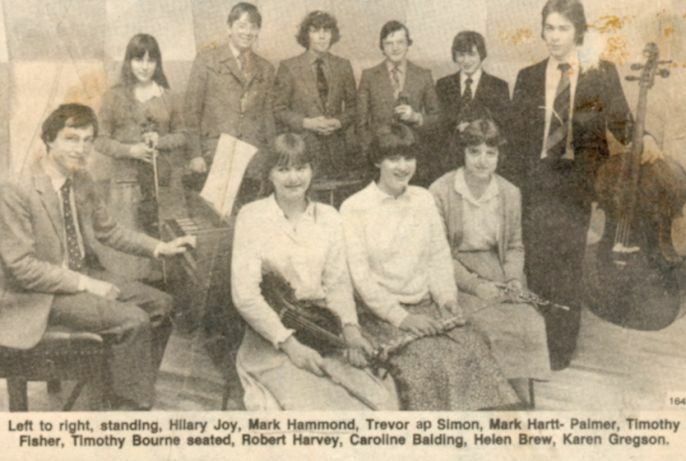 This picture appeared in the Portsmouth Evening News following a performance by members of the Hampshire Specialist Music Course at the Central Library in Portsmouth on June 10th 1981. On the left is the original newspaper cutting while the photograph is on the right. This picture was taken in the early seventies during a filming for a Southern TV programme "Songs of Celebration"